Who is our Board of Education? John Jadhon was elected to the Board of Education in May of 2011. John is a New Hartford native. He attended New Hartford schools from grades K-12 and is a member of the New Hartford Class of 1987. John went on to attend and graduate from Union College as well as Albany Law School. 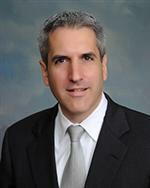 He is currently a Partner in The Matt Law Firm where he concentrates his practice in corporate and transactional law. After living outside the area for several years John and his wife Katie returned to New Hartford in 2004. They have three children that currently attend New Hartford schools. John ran for the School Board as a way to make a positive contribution to a school system that provided him with the foundation to succeed in college and beyond. He looks forward to helping the School District maintain the financial discipline that taxpayers require, while not diluting New Hartford’s tradition of excellence. Pam King was elected to the board in May 2014. Pam grew up and went to high school in Valparaiso, Indiana. She then attended Cornell University earning a Bachelor of Science degree in Mechanical Engineering. After working several years for General Electric in Sales and Management, Pam went back to school to earn an MBA from Indiana University. She then went on to work for Whirlpool Corporation in Marketing and later was self-employed as a Business Consultant. Currently, Pam owns a series of Internet franchises, teaches fitness classes, and specializes in health and nutrition. Pam and her husband Michael moved to New Hartford in 1998. Besides holding leadership roles on the PTA and the NH Pop Warner Board, she is actively involved with St. John the Evangelist Religious Education. She has four sons: Tory ’13, who is attending the University of Notre Dame, Dempsey ’15, Lucas ’17, and Seton ‘20. Pam and her husband chose to live in New Hartford because of its reputation as a great community and excellent school district. 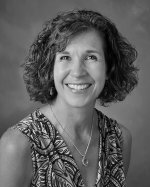 As a Board of Education member, she is committed to helping the district continue to move forward with educational improvements, technology advances, more efficient use of funds, and continued commitment to the arts, music, and athletics. James G. Stephens was elected to the Board of Education in May 2009. He previously served two terms on the Board. Jim was born in a small town in West Virginia, the heart of the coal mining industry. From childhood, Jim has recognized the value and importance of a well rounded solid education for children to allow them to nurture their dreams and provide them with the foundation to make their dreams a reality. Jim served in the United States Air Force with a tour of duty in Vietnam. He retired from the Utica Fire Department as a Lieutenant. He and his wife, Pat, have four children, Colleen, Tricia, Jim and Maryellen who are graduates of New Hartford Central School. He has seven grandchildren, five of whom will attend New Hartford schools. Jim has been a member of several community organizations and looks forward to serving the community, again, in helping to make wise decisions that will impact the future of the New Hartford School System. Beth Soggs was elected to the board in May of 2010. Beth was born and raised in Brooklyn, NY. She received her BA in Economics from Providence College. She relocated to New Hartford in 1994 to take a position in pharmaceutical sales with Merck & Co., where she worked until 1999. Beth also currently serves as the First Vice-President of the United Way of the Valley and Utica, where she has volunteered her time for many years. She has also contributed her time to the Bradley Elementary PTA, The Arc and The Ride for Missing Children. She feels that it is a responsibility to support the community she now calls her home. She is grateful for the opportunity to serve on the Board. Beth looks forward to continuing New Hartford’s tradition of providing an exemplary education at a reasonable cost to the taxpayers. Beth has three children, all of whom are currently students at New Hartford Central School. Cindy Chan Phillips, MS, MBA, RD, is the Director of Nutrition Education of the New York State Beef Council. A registered dietician, she is a noted health communicator and mother of twin sons who were members of the Class of 2017. 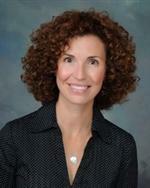 Cindy has experience in both clinical and community nutrition. She was the primary dietitian of the Critical Care Unit at St. Luke’s Hospital, where she provided medical nutrition therapy and nutrition education to improve clinical outcomes. Cindy regularly presents nutritional research. Her original research on childhood nutrition was featured at the Food and Nutrition Convention/Expo in Philadelphia in 2012. The study, entitled “Nutrient Quality of Children’s Meals at Fast Food Restaurants in Onondaga County,” received the Master Prize at Syracuse University. It was the first such prize awarded to the university’s nutrition department. Cindy holds a master of science from Syracuse University, a master of business administration from San Diego State University, and a chef certificate from the hospitality program at Mohawk Valley Community College. Linda Lark, JD, is an Assistant County Attorney at the Oneida County Law Department. A member of several professional lawyer organizations, she hails from Northern Ohio and worked as an attorney in private practice in Toledo, Ohio. In private practice, she concentrated on both juvenile law and financial cases. Linda moved to New York when her husband accepted a position at Hamilton College. She and her family chose to live in New Hartford after careful consideration of the quality education provided by the school district. Her son and daughter attend E.R. Hughes Elementary and skate with the New Hartford Youth Hockey Association. Her priorities as a board member are to promote STEAM programming, energy efficiency, and policies that support the inherent worth and dignity of all students. Linda earned a bachelor of science (business administration) from Bowling Green University and her Juris Doctor from the University of Toledo. Annette Bean, MS, is a retired science teacher who has been an educational leader inside and outside of the classroom for decades. She was dedicated teacher to more than three decades of New Hartford graduates, among whom included her two sons. Annette taught at Ralph Perry Junior School for 31 years, choosing to retire in 2016. During many of those years, she took on various teacher leadership roles in both the Junior High and throughout the district. As a board of education member, Annette hopes to maintain the quality educational programming that has established New Hartford Central School as one of the finest school districts in the country. Annette was born and raised locally and earned a bachelor of science from Utica College. She holds a master of science degree from the College of St. Rose.